Most of us have never planned a vacation around the width of an aisle, or whether the door on a bathroom stall swings in or out. But the families of those with disabilities have, and it’s not easy. Certified assisted travel specialist Holly Woodard of CruiseOne uses a motorized scooter to get around. She’s learned that some doors are too heavy to open, her chair can’t navigate the narrow halls of a river cruise boat, and the cobblestone streets of Europe can be impassible. So does Elissa Colón, the mom of a special needs child and a teacher turned travel agent for DWB Vacations, specializing in Disney trips. Travel agent Elissa Colón is also the mom of a child with special needs. She’s learned that “accessible” doesn’t mean the same thing everywhere. “You have to be prepared — and stay prepared — for the whole trip,” she advises. 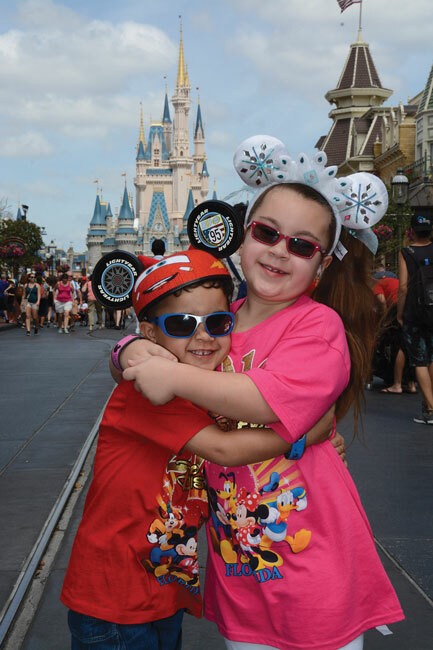 Her family, including husband Carlos, daughter Johanna and son C.J., favor family-friendly resorts such as DisneyWorld. “We’re really lucky; we’re able to go anywhere. It’s just more cumbersome,” said Colón, whose 5-year-old son C.J. has Hirschsprung’s disease, a congenital condition affecting the colon. Step one in trip planning, she advises, is to talk with your doctors. “They can be good resources. Ours will find one of his colleagues to recommend wherever we’re going, and tell us the correct hospital to use in case we need it,” she said. Colón has learned many of her travel lessons through trial and error. On road trips, cruises and flights, her family has discovered that “accessible” doesn’t mean the same thing everywhere, that it’s important to pack extra medicines and medical supplies, and to allow for flight delays. More than once, they’ve resorted to Amazon Prime to deliver critical items to their vacation hotel. And when Colón learned that her son’s colostomy bag would subject him to a more intrusive TSA search at the airport, she avoided the issue by pursuing the pre-check process of having each family member screened in advance. 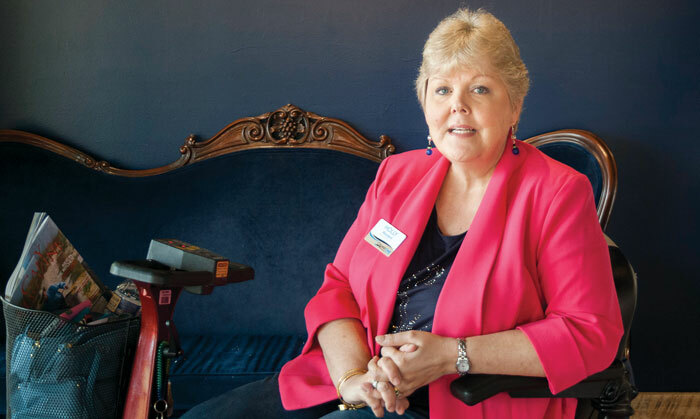 Based on Woodard’s own experiences, she sought and earned the designation of certified accessible travel advocate through training with the Special Needs Group, a company that provides equipment for travelers with mobility issues and other disabilities. A tip from Woodard: A CPAP machine, or Continuous Positive Airway Pressure, is considered medically necessary, so is not charged as an airline carry-on. Cost is another travel challenge. To avoid flying, Woodard once paid $1,000 to rent an accessible van for a long weekend. Now cruising is her favorite way to go. Though most cruise ships are registered internationally rather than in the U.S., Woodard says many cruise lines voluntarily adhere to requirements of the Americans with Disabilities Act. For example, with advance notice a cruise line will provide a vibration device for travelers with hearing impairments; from under their pillow, it serves as an alarm clock or doorbell. The ADA prohibits discrimination against people with disabilities, in transportation, accommodation and other areas. “The ADA is a great starting point, but it covers a broad spectrum and is not uniform,” Woodard noted. “Many businesses are grandfathered in, so that accessible could mean a rickety plywood ramp by the back door or the Dumpster. “In hotel rooms, a grab bar in the bathroom is not enough to make it accessible. You need that five-foot turning clearance for your chair, and a roll-in shower without a tub,” she said. Another tip from Woodard: Some hotel chains, such as LaQuinta Inns & Suites, offer chair lifts to help the disabled in and out of the spa or pool. As important as physical access is to a successful travel experience, there’s much more to think about, says Rosellen Reif of Reif Psychological Services. 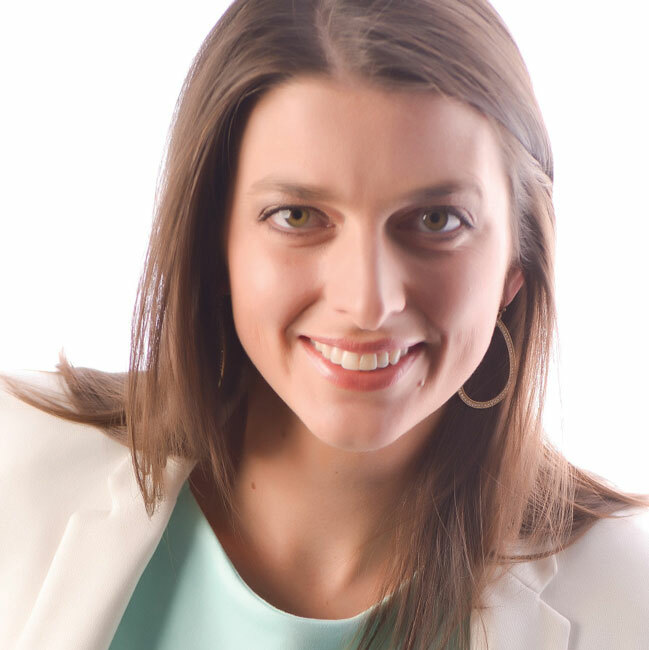 A licensed professional counselor associate and a certified rehabilitation counselor, she also leads public workshops on topics related to disability for the Town of Cary’s Specialized Recreation & Inclusion Services program. She recommends taking familiar foods and favorite items on a trip, to circumvent the discomfort of being off-routine and in an unfamiliar place. Choosing to stay in a vacation home rather than a hotel can help too. Take along the supports you use at home, such as a visual schedule to remind kids that they’re still expected to do things like brush their teeth. “And manage expectations,” Reif said. “People with some disabilities understand the world and language in concrete terms, which makes it tough when plans have to change. It can overwhelm them. Use this crowd-sourced mobile app and website to find, rate and share accessible restaurants and venues in your area. Use an easy traffic light system of green, yellow and red to find and mark accessible public places on a virtual map; for PC and mobile device. Google Maps now mentions wheelchair accessibility as an amenity on a location page, when the info is available. All of the following are permitted through the security checkpoint: Scooters, walkers, wheelchairs, service dogs, and diabetes-related equipment. Carry-on bag limits do not apply to medical supplies and mobility aids. 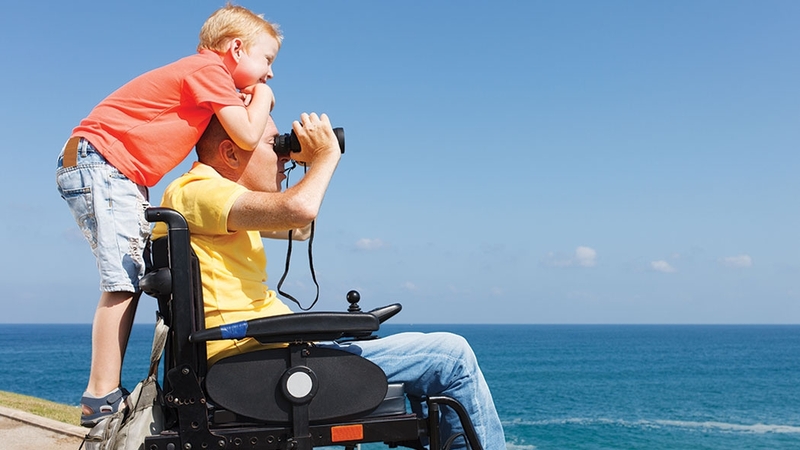 Find a listing of disability-specific travel resources. Rents and sells mobility aids and other equipment for the traveler. ACCESS North Carolina: A Vacation and Travel Guide for People with Disabilities is available from the N.C. Department of Health and Human Services. The fact sheet is available in English and Spanish. Sensory overload can happen on vacation, too. To minimize the effects of new sights, smells and tastes, use a sunshade over the stroller or wheelchair or dark sunglasses and noise-canceling headphones, and bring along a favorite scent. Confirm all aspects of your travel with your physician to make sure that malaria or anti-seasickness medications won’t interact with routine prescriptions. And always put safety at the top of the list. “My number one tip is to think through every step of the trip and the worst case scenarios,” said Reif. “For example, a nonverbal child may run away from you in a crowd. Use a tethered backpack or stroller for a younger child, and a temporary tattoo with your phone number on it for an older child. Travel by car offers more control for families dealing with disabilities, allowing them to stop for breaks, or for a child to sleep in the back seat. If flying, be sure to consider the time element; Reif once found her flight delayed at the airport as she led 16 disabled people to a Disney cruise. The company held the ship for them. “Larger resorts like Disney and Great Wolf Lodge are good at recognizing people’s needs now,” she said. “But being a self-advocate or an advocate for a family member is the best thing you can do — and don’t be apologetic about what that person needs. Finally, Reif says, remember that travel can bring out the stress in all of us, so do your best to stay calm. I congratulate you on the article The Scenic Route: How To Vacation With Disabilities. It’s informative and useful for travellers and families of people who are mobility challenged. It’s especially meaningful to me because my mom, who died this past Jan. 1st, was a quadriplegic. As you know Danielle Stanfield is my niece and thought a lot of my mom, as well as her grandmother who had Alzheimer’s. 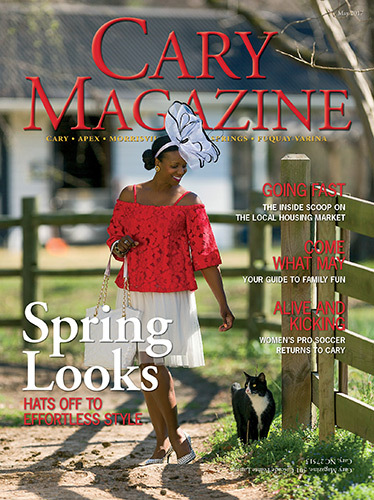 One of the things she was inspired to do because of their disabilities was to highlight services, charitable organizations and proactive measures one could take concerning health issues in the pages of Cary Magazine as the original editor. It gives me great pleasure to see that all of you continue that tradition in such a meaningful way, understanding how important it is to your community. We are both so pleased with what you continue to do for your community, and I want you to know I share it everywhere I go, leaving it on airplanes, at doctor offices and other random spots to sprinkle the Western Wake Wonders Worldwide. At Morgan’s Wonderland, every guest with special needs enjoys free admission. As a 501(c)(3) non-profit, Morgan’s Wonderland would not exist without the support of donors and volunteers like you! It is because of the generosity of individuals, corporations and the public that we can continue to provide free admission to individuals with special needs. With your support we can continue to provide a special place where everyone can smile, laugh and make wonderful memories with family members, caregivers and friends. Thank you, Rosellen Reif, for addressing the need for contingency planning and consideration of emotional needs, too! These are areas that are overlooked too often when addressing travel needs and can make the difference between a disaster of a trip and the trip of a lifetime! Great job!